The Monopoly board game has an 80-year history and during that time it has been played by more than one billion people in 114 countries worldwide. 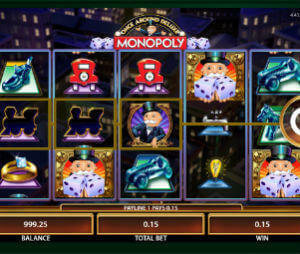 A sensation in the world of gaming and entertainment, Monopoly has also become a huge part of the slots community through hundreds of lottery and digital Monopoly-themed slot machines developed by Scientific Games. Monopoly Big Event, Bring the House Down, Monopoly Hot Shot, Once Around Deluxe and many others. The provider is celebrating 20 years of cooperation with Hasbro, holder of the MONOPOLY brand, and what better way is there to commemorate the longtime licensing relationship than with a multi-channel promotion including both land-based partner casinos and matching online gambling venues. The campaign is called MONOPOLY Cruise for Cash and it is a slot tournament promotion organized in cooperation with Princess Cruises. The promotion is announced to include multiple MONOPOLY game-based qualifying events by the end of the year and the culmination of the campaign will be a $200,000 slot tournament on Princess Cruises’ Regal Princess cruise ship. The main tourney will take place on December 9th, 2018. All the details will be available soon, but for now we know that Scientific Games has also created an exclusive MONOPOLY slot tournament game that will be used in the campaign’s qualifying process. Princess Cruises is a brand within Carnival Corporation, which was one of the first enterprises to receive the MONOPOLY Millionaire slot games. On the Scientific Games’ official website there is an announcement which addresses casino operators and elaborates on some of the terms of the promotional campaign. Casino venues that place Monopoly-branded slot games on their platform by October 1st, 2018 will receive cruise vouchers and other promotional prizes for their customers, joining the multi-channel promo celebration. The cruise vouchers will, of course, include seats in the $200,000 Cruise for Cash onboard the Regal Princess luxurious cruise ship on December 9th, 2018. Stay tuned for more news from Scientific Games and see how playing your favorite MONOPOLY-themed slots online can secure you one of the top prizes in the Cruise for Cash tournament.